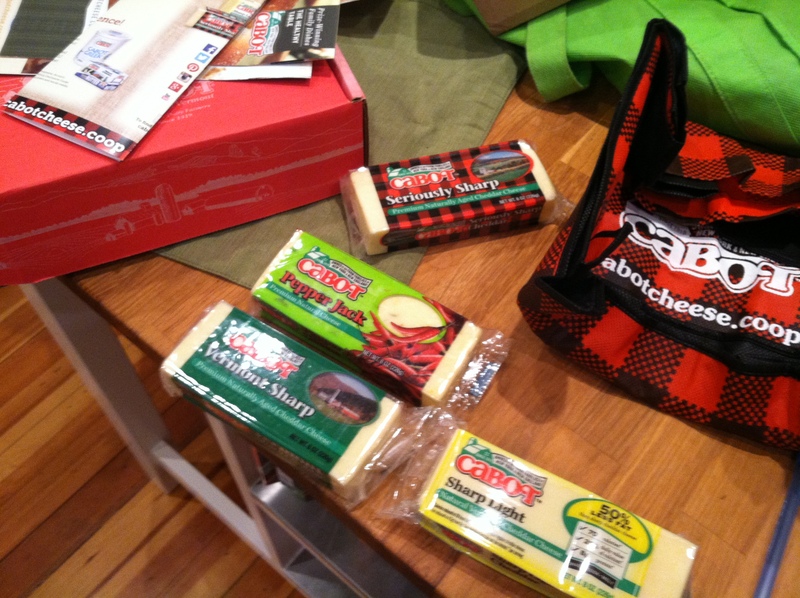 BUT, while I’m on the topic of Cabot cheese, I owe it to them to at least discuss the benefits of their product. I mean..come on..it is really good cheese. Their cheese is all-nautral, lactose-free, gluten-free ( of-course), and is located throughout NY and New England (local!). Plus, Cabot also sells Greek-style yogurt rich in protein and Vitamin D. Everything about it is tasty, rich, and creamy, and when I do indulge in dairy products, I go for their cheese. For a healthy snack or dessert, you can take their yogurt and add in some honey, nuts, or fruit, and voila- yumminess in a cup! The RD side of me knows that obtaining enough calcium and Vitamin D is essential for a healthy body, especially females, and using Cabot’s products is one great way to go about getting enough! Mystery solved. I along with my colleagues who head up the CabotFit team sent the packages your way after you applied for a spot on the team for Beach to Beacon (2013) and Vermont City Marathon (2014). A little email related to CabotFit should’ve made it to your inbox after each to let you know we’d be sharing cheese, but I guess it didn’t make it. So sorry! Hope you can have a few friends over to enjoy! Ah yay! Thank you 🙂 and Yes I certainly will! I appreciate the package !